Today I found out what causes hiccups. In medical terms, a hiccup can be called a hiccough, a synchronous diaphragmatic flutter, or singlutus. Hiccups are classified into three categories: normal, protracted or persistent, and intractable. Protracted are those hiccups that last over 48 hours, but not more than one month. Intractable hiccups continue for more than one month. If hiccups occur for less than 48 hours, they are considered ‘normal’. 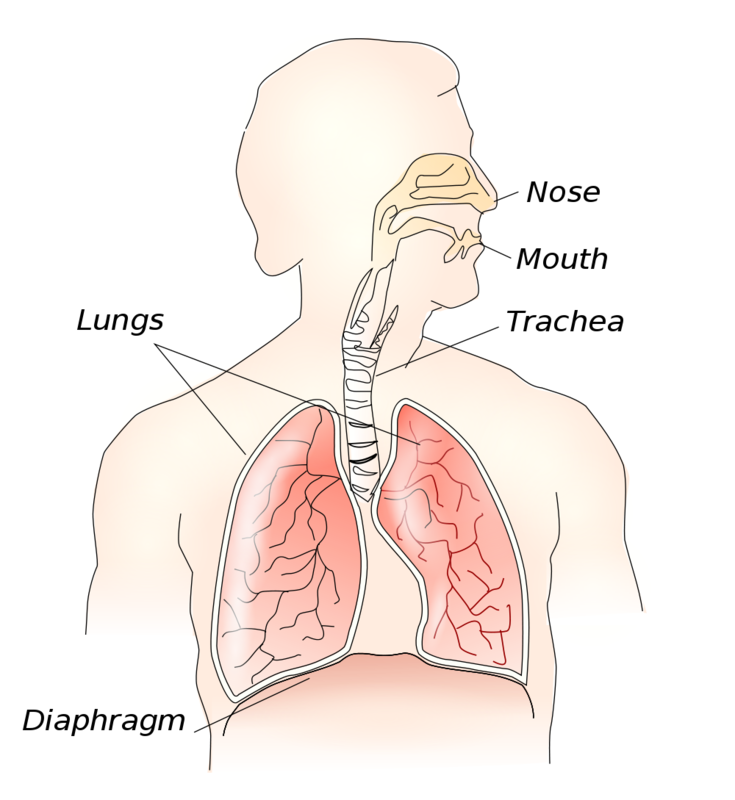 In regards to the function of hiccuping, it was once thought that this act was just a twitch of the diaphragm (the muscle that separates the thorax from the abdominal cavity and is the main muscle involved in breathing). It has since been shown to be a much more complex process. It starts with a sudden, strong contraction of all muscles involved in inspiration. This is followed almost immediately by the glottis, or vocal cords, closing shut. This clamping of the chords is what causes the infamous ‘hic’ sound. The top of the mouth and back of the tongue then move up, making an occasional associated burp, as the diaphragm then contracts forcefully. The heart will also tend to slow down during this process. This is thought to be caused by the stimulation of the Vagus nerve, which slows a person’s heart rate. Precisely what causes this complex involuntary reflex action is still up for debate, though it is known that there are some common mediators that trigger the reflexes. Common causes are things like: eating excess amounts of food; eating spicy foods; sudden changes in stomach temperature, such as can happen when eating something hot and washing it down with an icy drink; consuming large amounts of alcohol; exhaustion; or malnutrition. Some medical conditions are also thought to cause hiccups, usually hiccups of the persistent or intractable variety. The most common that also triggers normal hiccups is stomach acid moving into the esophagus. Neurological lesions involving the brain-stem, metabolic disorders, irritation of the Phrenic nerve (the one that goes to the diaphragm) are also known to cause hiccups. Other known medical causes of hiccups include: hyperglycemia, anorexia, meningitis, encephalitis, heart attack, stroke, multiple sclerosis, blows resulting in brain damage, electrolyte imbalance, kidney failure, certain types of infections… the list goes on and on. What exactly is going on in the body to trigger hiccups from these varied causes is heavily debated among researchers who study hiccups, but the general consensus is that there must be some built in system involved in triggering hiccups, a “central pattern generator”. Specifically, it is thought that there is a central neuronal circuit that generates hiccups, similar to the ones that allow us to cough, breath, and walk. Given the wide ranging conditions that can cause hiccups and that the hiccups vary greatly in duration based on a variety of factors, this circuit must be conditional, only triggering when certain conditions within the body are met. Hiccups themselves are thought to offer no biological benefit to humans. Further, the hiccup is commonly seen and heard from fetuses on ultra sound, and occurs well before any type of breathing movement in-utero. It’s because of this that Dr. William A Whitelaw, a professor at the University of Calgary, has suggested the central circuit involved is left over from a previous stage of human evolution. As evidence, he suggests looking to other animals in nature that have hiccup-like actions in their species. For instance, he points to a tadpole that breaths air through both lungs and gills. While breathing air through the gills, a tadpole will take in water and close its glottis at the same time, allowing the water to be forced out through the gills and not into the lungs. This is a similar action as hiccups in humans. While there is no known definitive cure for hiccups, any online search will yield countless suggestions and home remedies. The University of Maryland’s Children’s Hospital gives the following suggestions. First, try breathing into a paper bag for 10 seconds. This will raise the carbon dioxide levels in your blood, which can help stop the hiccup. Having someone scare or startle you, tickle you, or taking a spoonful of sugar also has been shown to occasionally cure hiccups. On a personal note, I have found that holding my breath as long as I can will cause them to cease. Although, this might just be an extension of the paper-bag technique suggested by Maryland’s Children’s Hospital, as this will also cause blood carbon dioxide levels to rise. However, the deeper the breath I take, the better it seems to work, so it may not just be about raising carbon dioxide levels. Another great way to cure hiccups may not be possible for everyone, but works like a charm when I’ve had particularly pesky hiccups, namely to stand on my head. This method seems to be one of the quicker ways to get rid of them, in my experience. The Old English word for hiccup “ælfsogoða” derives from the fact that it was thought hiccups were caused by elves. In 2007 a Florida girl (Jennifer Mee) had a bout of uncontrollable hiccups at a rate of about 50 times per minute that lasted for approximately 5 weeks before stopping on their own. Later on she suffered periodic bouts, and exhaustively sought an explanation from Doctors, without success. It was her lawyer, in 2010, who claimed that they are a symptom of her other known medical condition, Tourette’s syndrome. Why her lawyer do you ask? Because in October of 2010, Mee and accomplices Laron Raiford and Lamont Newton were arrested and charged with the 1st degree murder of 22 year old Shannon Griffin. The three allegedly lured Griffin to a vacant house where they robbed him and shot him several times. Mee’s lawyer claims her Tourette’s may have played a role in the robbery. As evidence of her diagnosis, he points to her frequent hiccuping episodes. Another dramatic case of the hiccups occurred in 2006 with a man named Christopher Sands who lived in Lincolnshire, England. Sands’ hiccups lasted around 3 years and robbed him of his career as a musician and vocalist. His hiccups were so bad at times that he would be unable to breathe properly and would occasionally pass out from it. He also had significant difficulty in sleeping. Sands eventually received media attention in 2009 and doctors in the United States investigated and found he had a tumor in his brain stem that was causing the hiccups. After removing it, the hiccups went away. It takes the glottis approximately 35 milliseconds to close while hiccuping. The average number of hiccups in a single bout is 63. The first fetal hiccups were discovered in 1899. The original theory was that they prepared the babies diaphragm for breathing. Agree, I’ve worked on the theory that hiccups are like cramp of the diaphragm, and when you get cramp in other muscles, you force them the other way. My cure for hiccups, which I do whenever I get fed up with having them, is to breathe in as deep as I can and then out as far as I can then then in again, reasoning that by forcefully controlling the muscle whilst still breathing will stop the cramp but still keep you oxygenated. I usually do the deep inhale and hold it in a few seconds before release and it tends to work. However, once i was unfortunate to have deeply inhaled to hold in at the exact moment i had a hiccup. Next thing i know, im on the floor and my thumb is sore. I realized i had passed out all of a sudden. The hiccups were gonr and other than the thumb pain, i felt fine. When I was in 7th grade when somebody had the hiccups our teacher would make the person stand up and everybody look at them and the hiccups would go away. I’ve found that when I have the hiccups, it goes away when I yawn.. So I’ve forced yawns to make them go and it has worked.. When I was a kid, my mum used to hold my nose while I gulp down a glass of water and after that I usually burped or heard a pop in my ears and the hiccups stopped.. These two things ALWAYS work! rub the tip of your chin with your finger, in a circle or oval pattern. 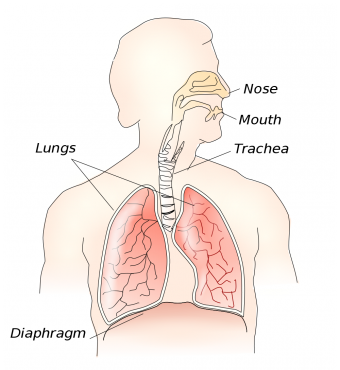 after about 40 seconds, your diaphragm will suddenly cause a long slow inhalation. 20 more seconds of rubbing, hiccups all gone. effective about 70% of the time. The only method I’ve found that cures hiccups most of the time is holding my breath. Even that, though, only relieves them *maybe* 80% of the time. The only thing (in my experience) that cures hiccups 100% of the time is just riding it out until it’s over.